In Drawing Realistic Textures in Pencil, the author says that we should shade according to the contours of an object. As an example he has shown a cone shaped flat bottomed flower pot, which was quite easy to follow. I want to understand how to find contours of other 3D objects like a leaf, an apple, or a human face? How do I know where the contours are? When I think of "shading with the contours", I think of having your lines follow the perspective contours of the object. So, in a sphere your strokes or shadow edges will be curved, as the shadow wraps around the surface. On a cube, your strokes can be flat and straight. If you think of your object in wire-frames, it may help to decide which way to place the shading. Keeping those contour lines in mind may help you to visualize when and how much to curve or straighten the strokes or edges of your shading. Unfortunately, I'm not able to demo this at the time, but I mainly use mental wire-framing as a visualization technique. It's something that came from me drawing box-and-cylinder mannequins for figure drawing. You can practice visualizing these contours, without doing all the work of shading, with something called crossed-contour drawing. There's a great many search results crossed-contour drawing, so I'd use them! It's one of those things where you have to practice, in order to train both your eyes and your hands to understand what's going on. If you're having too hard of a time figuring out how to make the contours, you can try finding images of wire-frame models, such as "wire-frame face". You can use these images to see how a wire-frame maps to a real object. One nice thing about this approach is that you can find 3D models for programs such as Maya. These models are intended for sale, but the sample images generally show the fully rendered (colored & shaded) object plus the wireframe of the object in the same position. That direct side-by-side may be very helpful for you. The shading on this square has circular contours, like you'd see on a sphere, so it makes the shape seem rounded or bowed, which isn't the effect you want for a flat plane. 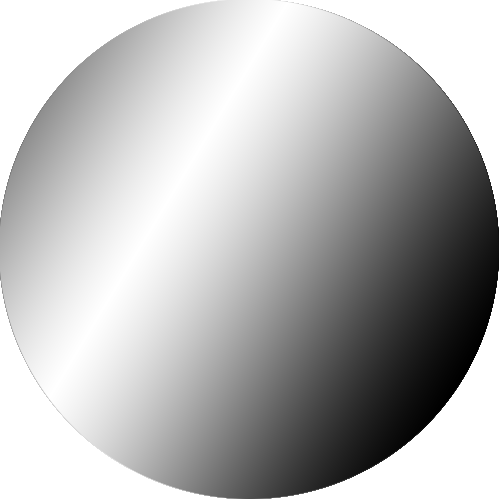 This circle has clear linear gradation, instead of curved contour shading. Instead of looking like a sphere, this looks like a bent coin at best. This ultimately comes down to the skills of observation that you acquire through practice. One of the fundamental purposes of life drawing as an exercise is to train yourself to closely observe what is there rather than what you know or expect to be there. Although we tend to think of our vision as being like a camera, in reality a lot of what we 'see' is constructed in our brains in relation to a whole variety of other information. The brain decided what is important in a scene and makes up quite a lot of the rest and in drawing these expectations can get in the way of properly detailed observation. Similarly when we perceive a 3 dimensional object, especially something familiar getting a sense of its form and volume is automatic and unconscious so unravelling the clues which give us that information and translating them onto paper is not necessarily straightforward. One way to deal with this is to practice drawing objects or collection of objects where we don't have any good reference points or expectations. In terms of looking at contours consider drawing things like piles of clothes crumpled up paper, driftwood etc you are looking for subjects where you don't already 'know' what they look like. Lighting can also help, try working in a dark room with just one or two sources of light, this will exaggerate contrast and help to make the relationship between tone and contour clearer. This isn't just about being able to accurately reproduce grey values like a robot, the real point is to be able to consciously visualise something in 3 dimensions and be able to express that as marks on paper. So when looking at your leaf, apple, or face, (or any object) study closely the "value" of the colour. But only study one small spot at a time. Ask your self if that spot is slightly lighter or slighter darker than the spots around it. Slowly you will build up a shadow map of the entire surface of the object. To help learn how to access the value of a colour there is a tool called a grey-scale value checker. 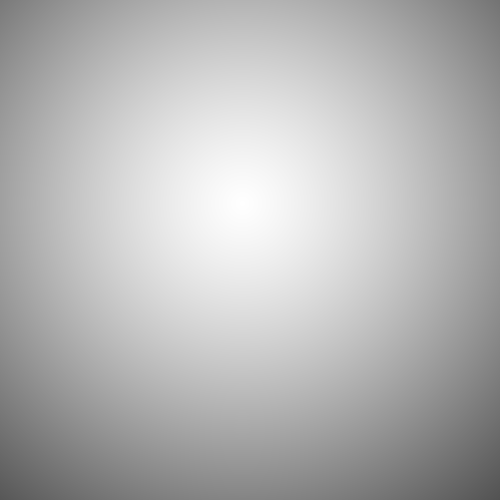 It's a card when a series of grey scale values on it. The card has a hole punched out one each value. You place the card in front of your eyes and view the object. Lining up the different values until it matches what you see on the object. Over time you will train your eyes to see the sudtle changes without the need of the card. Oh, and if you like good videos then check out Darryl Tank's 5PencilMethod http://www.fivepencilmethod.com/?gclid=CjwKEAjw7qi7BRCvsr3N58GvsTkSJAA3UzLvUE9pbz6cK_2QtH6ZIU3p7h5ptIhu4gyrmu59K-o9uhoC3THw_wcB He's got some great free videos on YouTube as well. I think of him as a Samurai/Master Jedi when it comes to the rendering of values in a drawing. Picture the line that would be created by the intersection of a plane with the shape you are trying to get a contour of. This resulting edge is a (literal) contour line. For example a contour or topographical map shows elevations across an area. Each line on the map is where a plane at the given altitude cuts the landscape. The idea is the same with an object you are drawing, but the cutting angle is arbitrary, it could be based on the angle you are observing the object or the angle the light is striking it or anything else and not necessarily tied to height lines. Not the answer you're looking for? Browse other questions tagged drawing pencil-shading or ask your own question. How to calculate the shadow direction, size, and transparency? What is the term for drawing wireframes which are drawn before drawing the actual object? Am I going about learning to draw the wrong way? When drawing shapes made from overlapping spheres, how should I draw the lines that indicate curvature near the intersection?